Martin when drafted was regarded as having mostly average tools, with a chance to play center. He showed very good plate discipline, but not a lot of power, in the low minors. In 2016 he started showing very good power, at the cost of a higher K rate and, in 2017, a much lower walk rate. He’s had some very large platoon splits in the minors. Scouts aren’t high on him defensively and has progressively played more in the outfield corners rather than in center. Martin has generally attempted a lot of stolen bases, with a very poor success rate. The Pirates acquired Martin in the Gerrit Cole trade. Martin played center for the Astros in the Gulf Coast League and showed good plate discipline, but only modest power. Still playing center, Martin spent two-thirds of his season in advanced rookie ball, then moved up to the New York-Penn League. He hit well at the first stop, with good gap power and continued good plate discipline. Playing mostly left field, Martin continued to improve slowly at the plate in full season ball. Martin moved up to the hitting-happy California League and suddenly added a great deal of power, at the cost of an increased K rate. He split his time in the outfield between center and the corners. For some reason, the Astros sent Martin back to high A, where he hit pretty much the same as the year before, this time in the Carolina League. At the end of May, they moved him up to AA, where he put up similar numbers, with a higher K rate and much lower walk rate. He played mostly in left. After the season, he was eligible for the Rule 5 draft but was not selected. Martin opened 2018 at Altoona after missing a few games with a minor injury. He tore up the Eastern League through late June, when he moved up to Indianapolis. He started off well there, but in August went into a horrific slump, finishing with a .406 OPS for the month. He showed less patience in AAA but his K rate stayed about the same. The biggest difference between the two levels was his batting average on balls in play, which was an unsustainable .396 at Altoona and an unrealistically low .261 at Indianapolis. Of course, the drop in power shows he wasn’t hitting the ball with as much authority. He had no platoon split on the season. Martin played a half dozen games in left at each level and otherwise spent all his time in center. He had only one outfield assist all year. 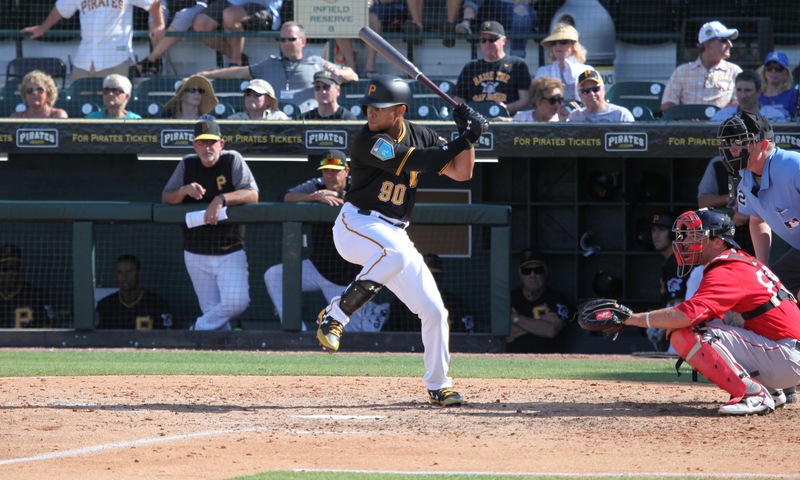 The Pirates added Martin to their 40-man roster after the season. He was expected to open the 2019 season at Indianapolis, but was called up before the AAA season started when Corey Dickerson got hurt. June 6, 2014: Drafted by the Houston Astros in the 8th round, 227th overall pick; signed on June 12. January 13, 2018: Traded by the Houston Astros with Colin Moran, Joe Musgrove and Michael Feliz to the Pittsburgh Pirates for Gerrit Cole.